and one mark in the chopper history. This bike exists for two reasons. The first one is to keep Jeff Mc Cann and his work alive and the other reason is personal. 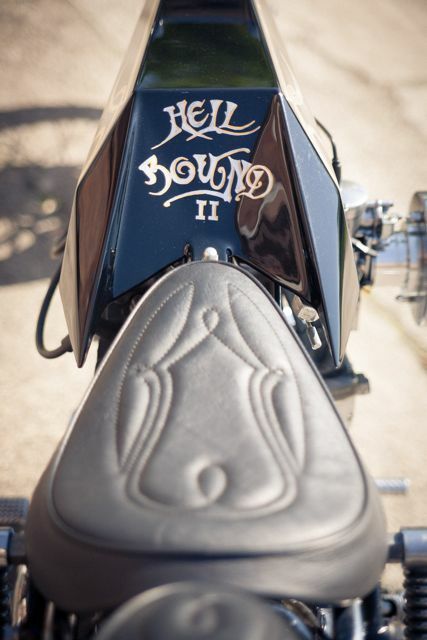 As I saw a picture of Jeff Mc Canns Hellbound some years ago, I really would like to ride it. Berlin. Germany - another country, another continent, another time. The Digger thing was not a big thing back in the days in Germany. Which means it doesn´t exist really. Yeah, some know such a bike style from different magazines like easyriders, Street Chopper, Custom Bike etc … but this magazines were hard to get here. And the ones who got them took more inspiration by the traditionell choppers. 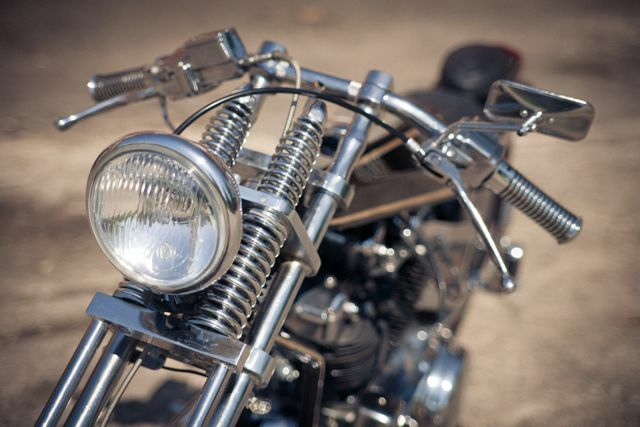 Choppers were a big thing, and much more easier to build because you don´t have to modify the frame for it, which is essential here in Germany. 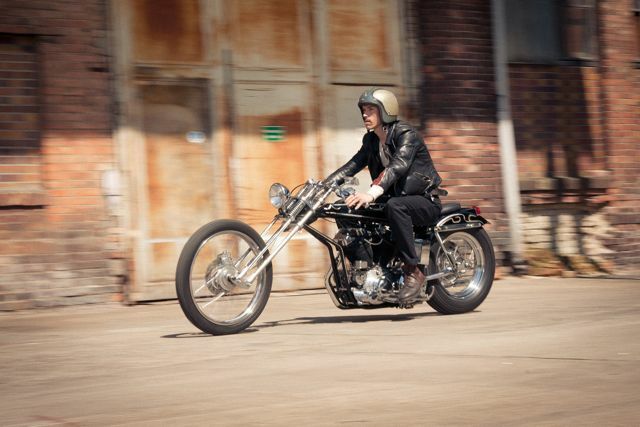 And the result was the european Chopper style based more on Jap Bikes or Italian, German ones. Some years ago, Fleemarket. I found an old Big Twin Digger frame from the late 70s, early 80s. It has all the gold and silver leaves on it which were typical for this style. It seems that nobody cares of it at this time. But what I don´t have are registration papers for it. So it will be a blast from the past beside my bed. But what I had was a erly sportster 900cc XLCH engine, a bad 70s raked early sportster frame and some other old chopper parts. Since I earned my first money I can´t resist old Chopper parts. When I could afford it, I bought it and even when I couldnÂ´t afford it, I bought it. Chopper parts tell me about good trips sitting on a chopper. Chopper riders are always enthusiasts, now and back in the days. 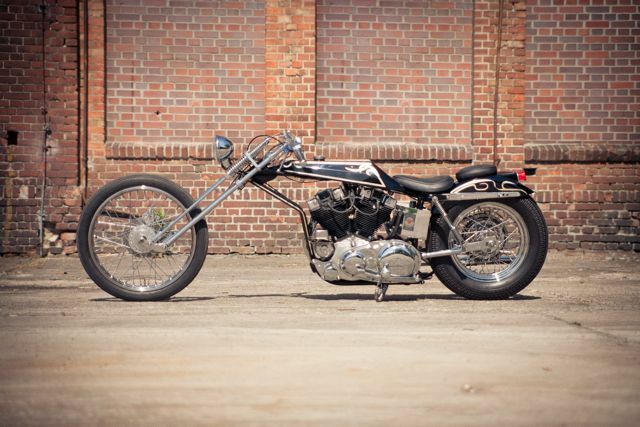 Choppers are wild, and the wildest Harley engine are for me the early Sportsters with their 55cui enignes. 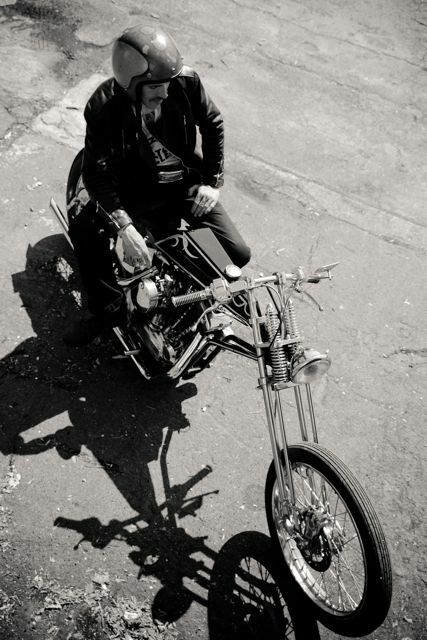 The picture of Jeff Mc Canns Hellbound in my mind, the collected Ironhead parts in front of me, it has to be. The gas tank is a replica of a Bob Munroe rocket tank which I had laying around for years. 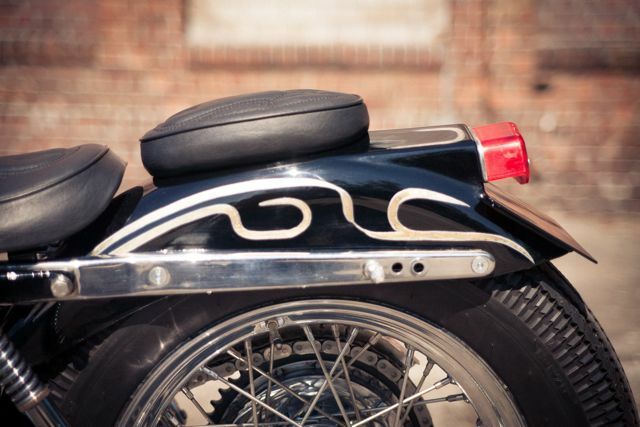 The rear fender is an original Harley one, but modified. The paint is a product of many friends and my ex girl friend. We all tried our best. The whole motorcycle is low as a scooter, sounds like a angry bear and is faster than you would like to ride. 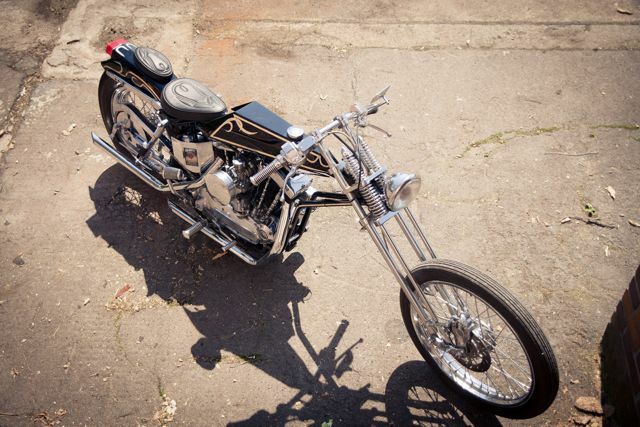 Maybe this motorcycle is one part more in the still growing chopper world. 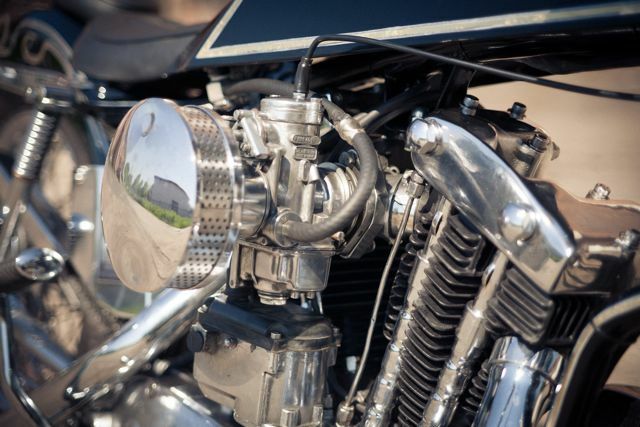 © 2019 Herzbube Motorcycles All Rights Reserved.